What books should be on every quality professional’s reading list? This can be a controversial question—ask ten quality professionals and you may get ten different answers. However, there are certain classics and thought leaders that stand the test of time. ASQ staff compiled a list of the top eight books on quality tools, concepts, and ideas ever published. Now, it’s your turn. Which of these books have you read? What additions or suggestions do you have for the list? This is a classic reference and instruction book for new and seasoned quality professionals alike. It includes a variety of methods, tools, and techniques, from the basics to those created by the author. If there’s just one book everyone in quality should read, it’s probably Quality Toolbox. A thorough revision of the bestselling handbook that has defined quality management and operational excellence for more than 50 years! The focus of the book is not on statistics but on the logic of finding causes. It describes how to solve problems via the analytical process through figures, diagrams, and tools useful for helping make our thinking visible. The primary focus is on solving repetitive problems. Commonsense Approach to a Continuous Improvement Strategy is the definitive, fully up-to-date guide to continuous improvement in the workplace. principles. The book is a wealth of articles, papers, lectures, and notes on a wide range of topics, but the focus is on Deming’s main message: quality and operations are all about systems, not individual performance; the system has to be designed so that the worker can perform well. Perfect for anyone charged with implementing a quality audit program or those performing the audit, this book is an ideal reference on the established techniques of quality auditing. modern quality control discipline, beginning as an attempt to develop a scientific basis for attaining economic control of quality. In his search for better knowledge of economy in manufacturing, Shewhart touches upon all aspects of statistical quality control. Ellis Ott taught generations of quality practitioners to be explorers of the truth through the collection and graphical portrayal of data. From a simple plea to “plot the data” to devising a graphical analytical tool called the analysis of means (ANOM), Ott demonstrated that process knowledge is to be gained by seeking the information contained within the data. Well the first to are more like reference books, rather than something you would actually “read”. But definitively are two of the mandatory ones in my bookshelf. For me What is Total Quality Control? from Kaouru Ishikawa is a must also. Very good list, lots of great stuff: Wheeler, Snee, Hoerl, Joiner… – lots of great stuff. “Juran Managerial Breakthrough”, and “Out of the Crisis” are also the must to read. “Today and Tomorrow” by Henry Ford is the basic organizational foundation upon which the Father’s of Quality (Deming, Juran, Wheeler, Freigenbaum, Ishikawa, Harrington, Pyzdek, Crosby) build their theories about quality. I would add “The Change Agent’s Handbook: A Survival Guide for Quality Improvement Champions” by Hutton. I value it for its clear synthesis of many of the above listed topics and its guidance on getting the ‘people’ side of quality management right. It is a great resource, particularly for those new to quality. Every Memory Jogger on a QA-related topic (www dot goalqpc dot com). In my opinion, the best Memory Jogger is the first published, longest standing, one: “The Memory Jogger: A Pocket Guide of Tools for Continuous Improvement” ISBN 978-1-879364-03-5. Also…. you should really sign up to follow/join some QA-related groups on LinkedIn, if you haven’t yet. Not only is that reading material and information free, but there are some great and very timely conversations that take place among fellow QA professionals. And you can pick it up as it happens on your smart phone! 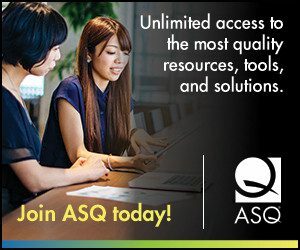 ASQ has a full array of global, industry, regional, local and topic-related groups on LinkedIn. Visit my LinkedIn profile to see a bunch of QA-related groups I follow… and you can link to them from there. The reason I’m mentioning social media, is that books take too long to get written and published. For timely information, use social media. For timeless classics, use books. The best part of a book is not the thought it contains but the thought it suggests. Hello, Sunil. Thank you for your comment. This is not considered by ASQ to be an exhaustive list, but a good start for quality professionals. We will consider doing a follow up on other books for quality professionals. My top choice is The Leader’s Handbook by Peter Scholtes. As Robert Mitchell mentions, I am also very high on Fourth Generation Management by Brian Joiner. I also have to have a book by Russell Ackoff very high on any list of mine though which of his books to list is a very hard decision to make. Professionals in the quality field are touched on the subjects that are choosen from above said books. Many of the professionals go back to books to referesh their learnings. Apart from the above mentioned steriotypic books on Quality, in todays world motivational and inspirational books are required to keep the changing enviornment. We appreciate the list of books and are delighted that we made the list. I am wondering why the Juran Handbook is the only one that does not link to more informaitn as the others do. is there something we can do to fix this? Thank you, Joe DeFeo, CEO Juran Global. Apologies, the book got moved around in our online bookstore. The link should go to the book now. Thanks for the heads up! For those who want to make a long term career in Quality. This books helpful for them.